A date for your diaries – the next Aalmar party will be at The Little Ship Club in the City on 27th June 2019. Congratulations to the winner of our Spot the Duck competition, Hesham Al Qerbi of Alhutheily General Trading. Our London MD Carole Bryer took the opportunity to present his prize on a recent visit to clients in Dubai. Hesham is also showing off his limited edition ‘I spotted the famous Aalmar duck’ teeshirtteeshirt. Swinging the lead: A person pretending to work when he is not. Pre-modern days, seamen would check the depth of water by dropping. a lead weight, attached to a thin marked rope, to the bottom of a. waterway. Some lazy sailors would take as long as possible about it. 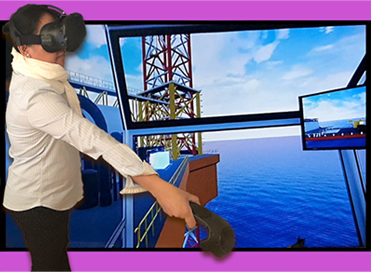 Using leading-edge technology, Aalmar Surveys is exploring the possibilities that Virtual Reality (VR) can offer to shipowners, insurers, surveyors, trainers and the wider marine community. VR is an interactive computer-generated experience in a simulated environment. This immersive experience engages auditory, visual and other senses, and can mimic the real world or safely push operational boundaries to crisis point. “Imagine an environment where the trainer, trainees and assessors are based around the world yet can talk and interact with each other as though in the same place,” explains Alan Coleman, Aalmar Surveys Group CEO. Working in partnership with marine training and project preparation company Keelson VR, Aalmar is excited about the many possibilities available to its clients. As an example, in an offshore simulator there could be a team in Texas operating the bridge of a support vessel, a team in London managing the control room on the platform and someone in Malaysia working the crane. All communicating with each other ‘in person’ in their teams and over radio to the other groups within the VR system. Training that uses immersive technology is proven to increase knowledge retention by up to 90 per cent. The system can create any training environment and embed real world dynamics and audio for a completely immersive and highly accurate experience. The partnership has so far developed OSV, jack-up and crane modules and can create specific training packages to suit whatever area of risk or interest a client may have. One of the most important aspects of the technology is the ability to simulate consequences with zero risk, whether it’s an electrical short, a fatality in a confined space, or an engine room fire. The process even incorporates biometrics such as heart rate monitors to get a sense of how each candidate is responding to the training! “This is as close as you can get without it happening in real life,” adds Alan. “The possibilities are endless. 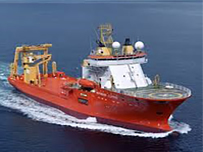 The recent cautious upturn in the offshore industry has resulted in an increasing need for DP vessels to be reactivated – but with this comes a warning. thrusters. This range of equipment and electronic interfacing means any DP vessel is vulnerable to extended periods out of service, and the way it was laid up. Marine insurance underwriters and P&I clubs are understandably concerned that these vessels are reactivated correctly and restored to a safe and fully operational condition. This risk is greatly increased with the commercial pressures that are put on vessel owners when they are given the opportunity of a lucrative contract, but with a very short mobilisation window given by the client. With all this in mind, the Aalmar Group encourages periodic reviews and advance reactivation planning. “Bringing a DP vessel back into service will likely start with the classification society who will advise what they need to see,” says Carole Bryer, managing director of Aalmar Surveys. “Once the framework has been defined of what the classification society requires, a practical plan can be prepared and budget developed. Successful and incident free DP reactivation is not straightforward. It requires planning at all levels and understanding of project risk. Once this risk is understood and the reactivation is correctly carried out, underwriters will then be more comfortable with insuring the vessel. Once the vessel is functional, a period of assurance is required. The purpose of the assurance process is to confirm that the vessel will perform in such a manner that after its designed worst case failure, position can be maintained. These failures are defined in the vessel’s FMEA (Failure Mode Effect Analysis). Once the proving trials and FMEA are completed, the last part of the process is for the crew onboard to make the reactivation a success. “It is critically important to identify a crew to sail the vessel who are experienced with the types of operation,” Carole adds. “Often, recruiters define a resource by STCW and a valid DP ticket, but this is wrong. The IMO fuel sulphur regulation which comes into force on 1st January 2020 is definitively a milestone for the marine industry. There are various options to comply with the standards imposed, all of them involving retrofit works whilst operationally there will be safety and bunker logistic issues. This is the most straightforward solution in order to comply with the sulphur oxide limits. Classification societies have already issued technical notes with steps to be taken for safe implementation of burning low sulphur fuels and insurance underwriters have issued relevant bulletins with recommendations for safe handling and use of low sulphur fuel onboard. This solution requires low initial cost, relatively short retrofitting time and is an easy option for shipowners. Compliant fuel is available worldwide but if demand increases bunkering hubs should consider converting the existing storage tank infrastructure. For LNG carriers to use LNG as fuel for ship’s machinery is very handy solution, but not quite so easy for other types of vessel. For other vessels it involves several challenges such as high initial investment, bunkering procedures, assessing the bunkered quantity/quality (calorific power) according to the temperature and LNG grade, methane slip as a greenhouse gas concern and availability of LNG bunkering locations. Methanol requires less extensive retrofit work for the fuel systems but due to the lower calorific power (about half of regular fuel), the performance of the vessel will be reduced accordingly. Main disadvantages are the low flashpoint about 12C, low evaporating temperature 65C and the toxicity for humans (2 – 8 ounces ingestion can be fatal). Operating costs are higher as methanol is about 10% cheaper than the IFO 380, but the calorific power is just half of it. Methanol is available worldwide and bunker facilities can be relatively easy converted to operate safely. 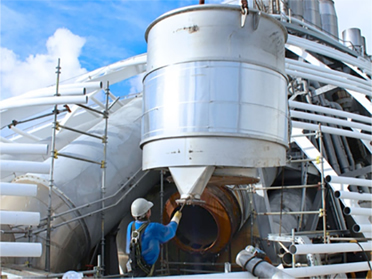 These allow usage onboard ships of regular sulphur content fuel, as they are able to remove the sulphur content up to 98% and particulate matter (PM) up to 80%. They are developed in three versions, open, closed and hybrid loop systems. Installation of scrubbers requires high initial investment and a relatively long period of immobilization. Sufficient space needs to be available for installation onboard existing vessels. The scrubber operation has to be closely monitored for exhaust gas and cooling water to have the proper parameters (i.e. PH, PAH and turbidity). There is no unique solution for every owner, and all the solutions available will regretfully increase operating costs.